It's bad enough when your alarm clock goes off and wakes you from a deep, peaceful slumber. But imagine having to listen to that irritating, shrill beeping noise at the same time every day for 13 YEARS. That's what happened to a family in Pittsburgh, USA, after a man accidentally dropped an alarm clock behind a wall in his home - and left it there. It seems an unlikely story, but Jerry Lynn claims he dropped the alarm clock, which was tied to a string, through an air vent on the first floor of his house while he was trying to work out where he should put a TV wire, a local news station reported . He had set the clock to go off 10 minutes later, hoping that when it beeped behind the wall he would know where to drill a hole in the living room so that he could hook up the television. But when he dangled the alarm clock through the air vent, his plan backfired. "All of a sudden the string went loose and I heard the thunk." 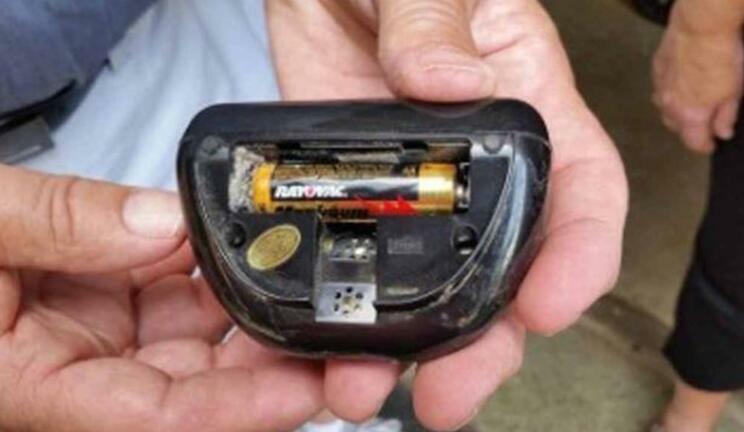 Jerry thought the battery would last "two or three months at most" before dying, meaning the couple wouldn't have to listen to the beeps every night. Thirteen years later, it's still going off at exactly 7.50pm every single day. Why wouldn't they just get it removed? When a reporter put this question to Jerry, he replied: "No need to, it's fun. It's a great conversation piece." So it seems he hasn't been driven round the bend by the beeping just yet. What's more, the couple have now had the alarm clock removed by a local air conditioning company - but they're not willing to give up on the noise just yet. 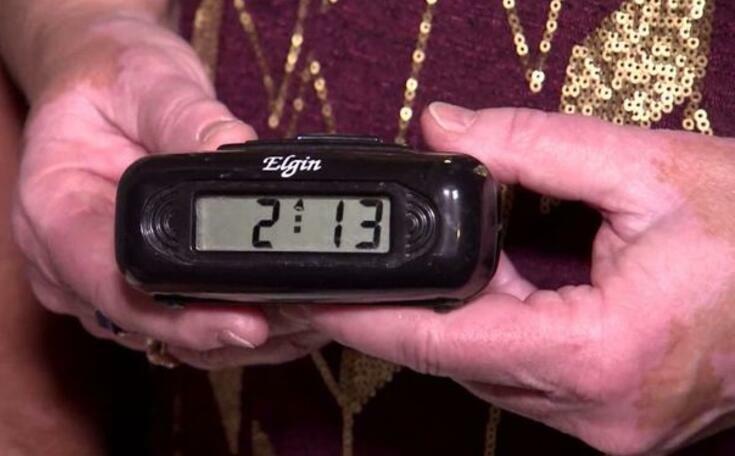 Jerry and wife Sylvia were asked if they were going to miss the alarm clock now it's been removed. Sylvia replied: "Not if it's on the mantel ringing." Yes, they're going to put it on the mantelpiece and keep it set to go off every evening at 7.50pm.